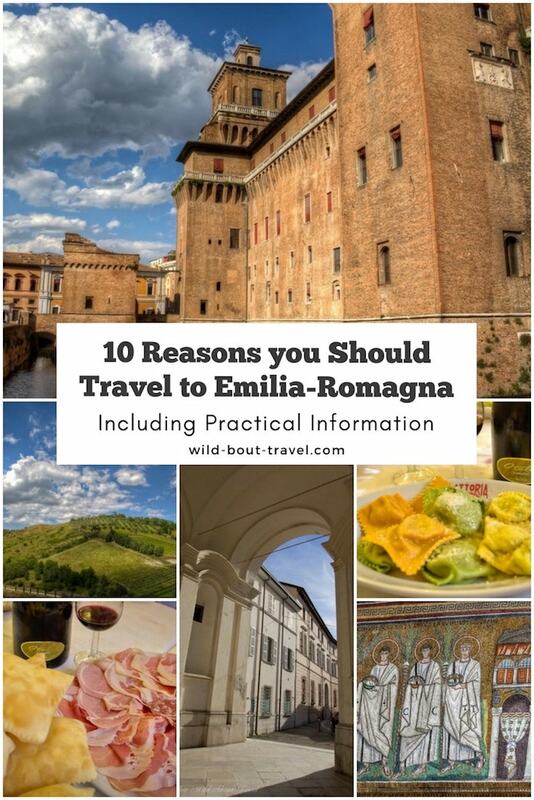 How many of you have heard about the region of Emilia Romagna in Italy, or know where it is? I bet not many. 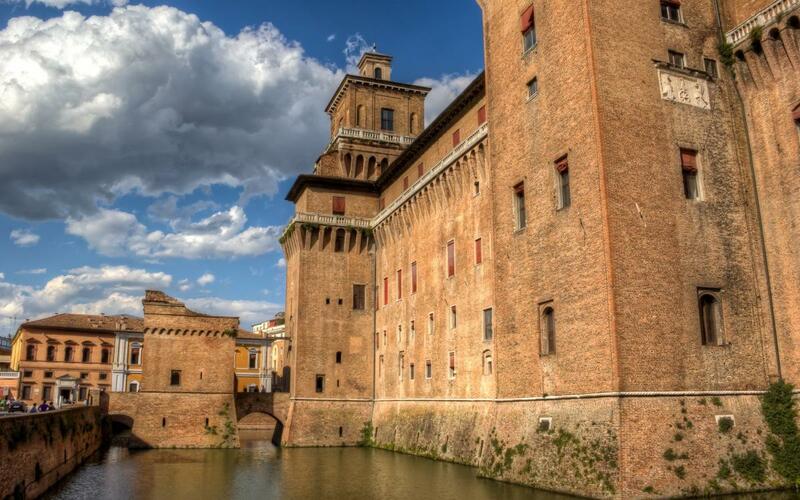 This area is often overlooked, although there are many reasons to travel Emilia Romagna. 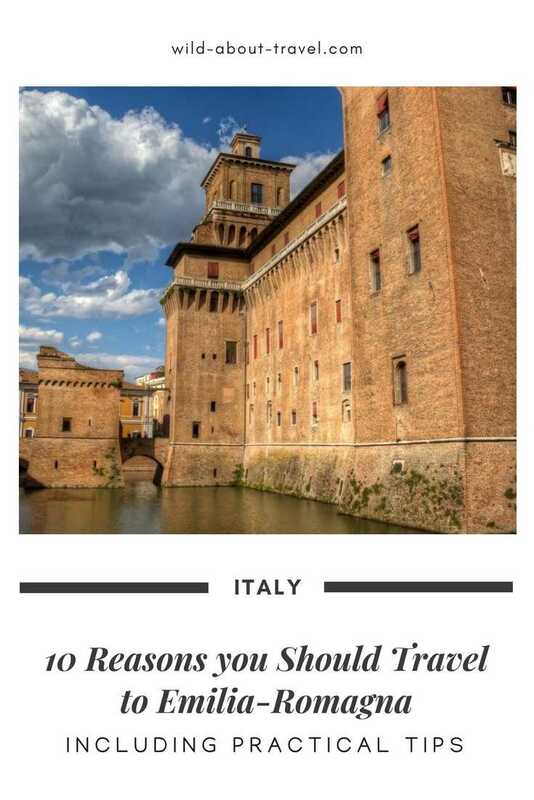 10 reasons you should travel Emilia Romagna and add it to your Italy bucket list. Everyone traveling from Florence to Venice (or the other way round) goes through Emilia Romagna and its largest city, Bologna. This Italian region is often barely an area of transit, and only a few make a stop on their way to or from Tuscany. I’m not going to deny that Tuscany is fantastic, but the hordes of tourists have somehow tarnished its authenticity, at least in the most targeted cities and areas. Too many things, for my taste, are shaped to please tourists. The only thought some nicknamed a region of Tuscany ‘Chiantishire’ makes me shiver as does read many signs in English at the entrance of some local wineries, meaning that a lot is done to satisfy Anglo-Saxons visitors. Not so in Emilia-Romagna, where genuineness is deep-rooted, and the feeling of Italy is much stronger. I don’t know the reason, but Emilia-Romagna has always distinguished itself for the warm hospitality, a characteristic which luckily hasn’t faded away. Most people in the region are friendly, joyful and easy-going, and feeling at home is often only a matter of minutes. I cherish this area of Italy because I always feel welcome. 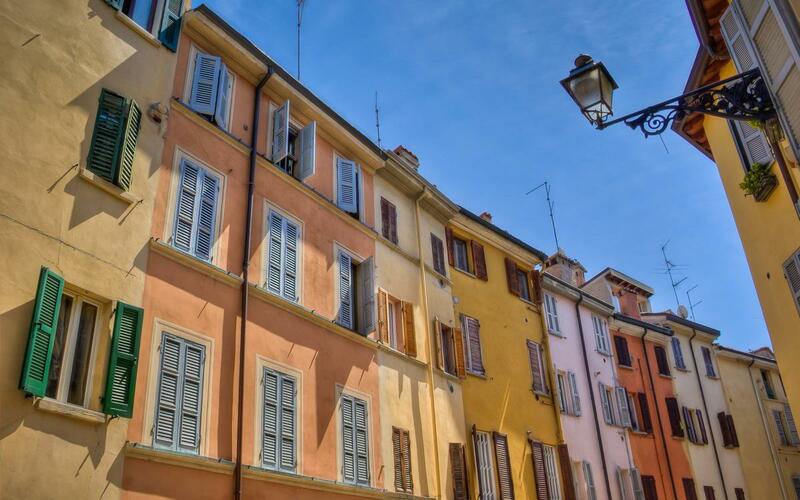 Having a passion for art, I was enchanted by Ravenna and its magnificent mosaics, Modena’s beautiful Romanesque architecture, the colorful streets of Parma and the elegance of Ferrara. I felt pure bliss looking at the smooth and verdant hills near Faenza and fell in love with the little town of Brisighella, a place where I could easily spend months just enjoying the peaceful surroundings. Albeit not as scenic as the Alps, there are plenty of beautiful spots in the Apennines, where you can do lots of outdoor activities. I only visited the area around Porretta Terme, a pretty town surrounded by hills and mountains at the edge between Emilia-Romagna and Tuscany, and indeed, wish to see more next time. And then there’s the Adriatic coast, with its wide sandy beaches and a lot of entertainment for anyone: teenagers, couples, families, elderly. I’m not much of a beach lover anymore, but Rimini and Riccione – the two most popular spots -, are linked to my childhood since my father used to bring my brother and me there on holiday. And from time to time, I like reliving sweet memories spending a few days of long walks along the beach, eating delicious typical piadina (a local flatbread, that I usually have filled with ham, soft cheese, and arugula) and shamelessly savoring hearty dishes of fresh fish. Rome, Florence, and Venice are unique and extraordinary but it’s tough to beat the crowds, no matter the season, and the flurry can be overwhelming. Most places across Emilia-Romagna are quieter (unless you go to the Adriatic coast in July-August peak season, and sometimes Ravenna can be busy) and more enjoyable. Hopping from one small city to the other, it doesn’t take long to see how unique each one is. Especially for art lovers, there are must-see places like Ravenna, a town with a population of about 160,000 people and no less than 8 UNESCO World Heritage Sites (a unique complex of early Christian monuments with magnificent mosaics, among the most beautiful works of art I’ve ever seen) and Modena, another UNESCO WHS. 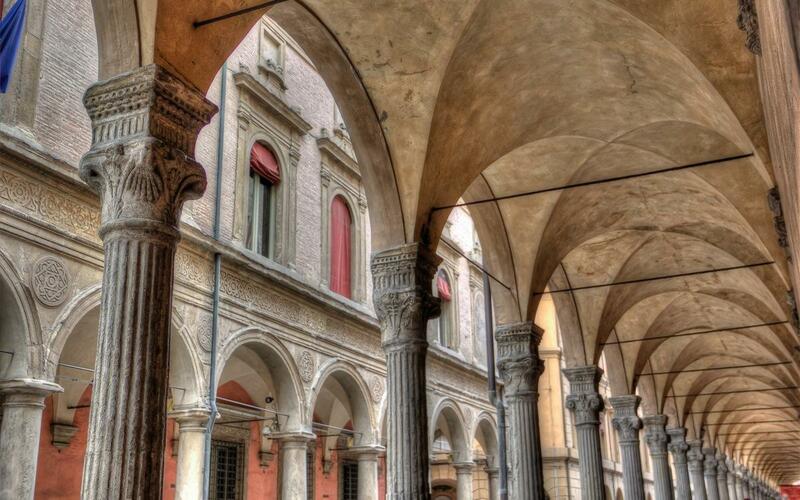 A university town, Bologna is filled with young students giving to the city a characteristic and lively vibe. I loved walking under the arcades (they cover 45 km, or 28 mi, in the city), getting lost in the tiny streets of the historical center, sitting with a book at one of the many cafés and enjoy the laid-back atmosphere. Sure, pasta is the Italian national dish, and there are so many different types of pasta and way of cooking it that you could undoubtedly eat it every day for one year and never have it prepared twice the same fashion. However, Emilia-Romagna is the realm of home-made pasta – or sfoglia, as they call it here: tagliatelle, tortellini, lasagne, to mention only a few, because there are several ‘variations on the theme’ across the region. Preparing home-made pasta is a cult and pride. It holds memories of past times that are still alive, no matter how the world has changed. Food in Italy is traditionally a family matter, and the loving preparation of tortellini or lasagne was meant for special occasions, gathering family and friends around the table. There may be fewer occasions today, but the tradition is still strongly felt. Not many foreign visitors know that Bologna is one of the main railway hubs in Italy, strategically positioned on the railroad line connecting Milan to Florence-Rome and Venice to Florence-Rome, both passing through Bologna. The introduction of high-speed trains has significantly reduced the time to travel from one city to another, thus from Bologna; it takes only 1 hour to reach Milan, 1 1/2 hour to Venice and 35-40 minutes to Florence. These trains are fast but expensive. However, there are ways to save money on high-speed trains. Exploring Emilia-Romagna by train is easy since Bologna has many regional trains connecting most of the best spots. Additionally, Bologna has a small but well-serviced airport. With 76 international connections, the city is within easy reach by plane from most European cities as well as from Moscow. Furthermore, a regular shuttle bus connects Bologna airport to the city center in about 20-30 minutes. Italy is an extraordinary country but let’s be honest: the most famous spots are pricey, when not outrageously expensive. Emilia-Romagna is on average cheaper, and it’s easy to have delicious food at really fair prices. Moreover, you’ll rarely find the typical places for tourists, with lousy food too expensive for what it is. No country in the world can boast such a variety of food specialties and creativity in cuisine, and every Italian region is a land of culinary discoveries. 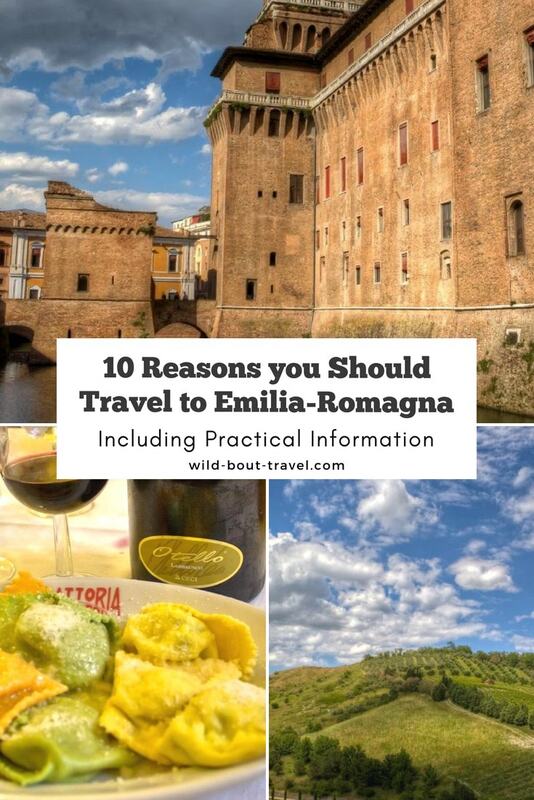 If I had to say which are my three favorite Italian regions for food, I would mention Apulia (I loved the gastronomic specialties in Brindisi and surroundings), Sicily and… yes… Emilia-Romagna. 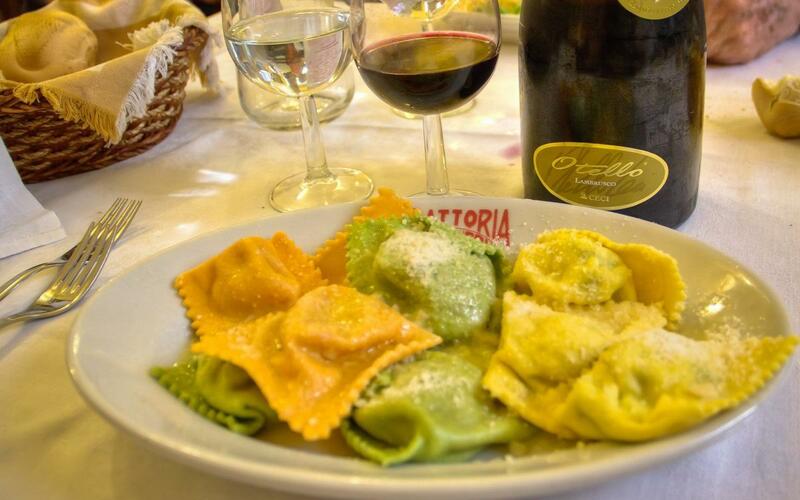 Celebrated on Forbes as Italy’s Greatest Gastronomic Treasure, Emilia-Romagna is an authentic foodies paradise. The region is home to some unique and delicious products, like Parmigiano-Reggiano, Modena’s Traditional balsamic vinegar (I’m talking the real thing, not the one sold in most supermarkets, because it takes years to produce traditional balsamic vinegar and, therefore, it is expensive). Then, there’s the mouth-watering cured meat like Culatello di Zibello, Parma ham, Mortadella, Coppa, not to speak about Lambrusco, the local red wine, slightly sparkling, the perfect pairing with the regional food. It’s not surprising that an entire area of the region is called the “Food Valley,” and the many mouthwatering local products and dishes are alone reason enough for a trip. Ferrari, Maserati, Lamborghini, three legendary cars which were born in Emilia-Romagna, in an area sometimes called the ‘Motor Valley,’ where the best talents gathered and developed unique designs and cutting-edge technology. There is an abundance of Museums (the Ferrari Museum in Maranello and the Lamborghini Museum in Sant’Agata Bolognese, only to mention a couple) and several interesting private collections, like the superb Museo Panini in Cittànova. 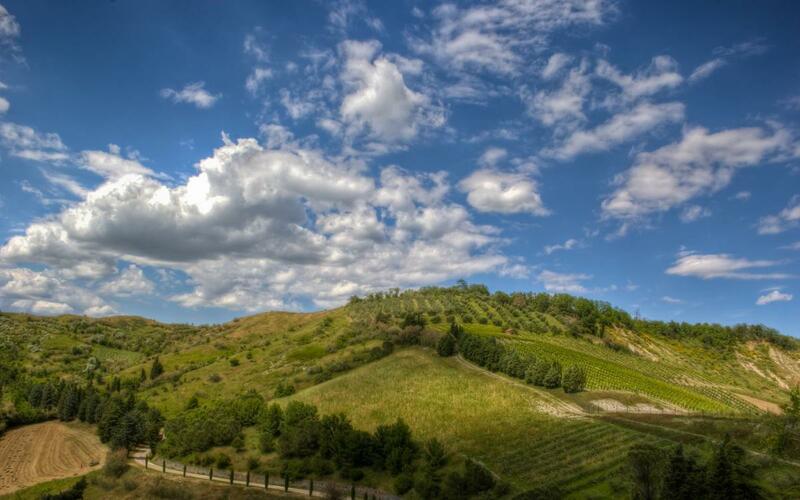 Not sure yet why you should visit Emilia-Romagna? Leave a comment or write me. I’m ready to give you even more reasons! 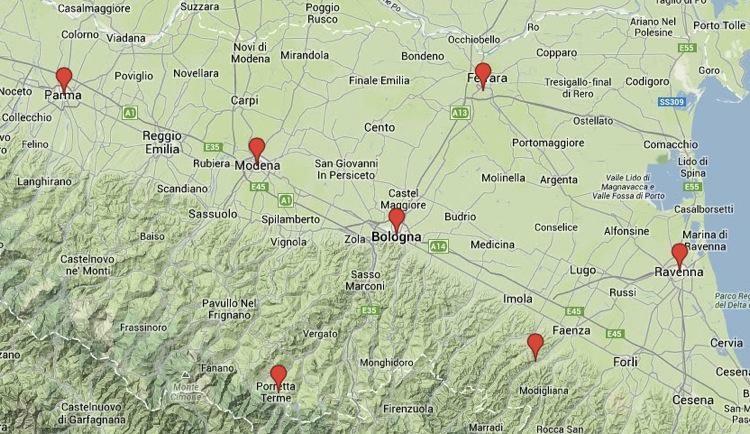 You can virtually travel to Emilia-Romagna all year round, but there are times of the year which are more advisable. Spring and autumn are a favorable period to visit the cities and towns of Emilia-Romagna, which can get quite hot in July and August. Winters can be chilly, but never so cold to prevent you from a pleasant stroll and enjoy one of the many museums and landmarks. The seacoast is very busy from June to the end of August, and being the high season the prices rise. May and September can be lovely, a bit cooler, and less crowded. If you like the sea in winter, as I do, you’ll appreciate the wide, long beaches, where you can walk almost undisturbed. The only downside is that many hotels, restaurants, and cafès are seasonal, so you’ll have limited options. Bologna Marconi Airport (BLG) has direct flights from/to several European cities (Vienna, Munich, Edinburgh, London, Paris and many more). The airport is very close to the city, and connected by a regular bus service. Bologna is the main railway hub in the north/south train lines. With the high-speed train, you can quickly travel from/to Milan, Venice, Florence, Rome. A regular train service connects the main cities and most towns of Emilia-Romagna. Driving certainly gives more freedom to visit at your pace and stop along the way as many times you feel like, but driving in the cities is often complicated (narrow roads, pedestrian areas, confusing signs) and parking is a challenge. There’s a wide choice of accommodations, for every budget. From hostels to campings, from cozy guesthouses to luxury hotels. Hotel Metropolitan: Modern and stylish furniture, central location in the historic center. The plus: a rooftop terrace overlooking Bologna and the surrounding hills, where you can have breakfast, aperitifs and enjoy relaxing moments. Ideal for couples liking design. Hotel Corona d’Oro: Classic and elegant, in the heart of the town. The plus: an ancient historical building, a stone throw from the famous towers of Bologna. Ideal for people enjoying tradition and elegance. NH Parma: A brand new hotel, with contemporary and stylish design and furniture. The plus: 42-inch TVs and free fitness area. Ideal for modern style lovers. Park Hotel Pacchiosi: A luxury hotel in an ancient building from the early 20th century. The plus: the 10,000 sqm park surrounding the hotel. Ideal for luxury lovers, couples. Grand Hotel Rimini e Residenza Parco Fellini: The most classic hotel in Rimini, with a longstanding tradition. The plus: Grand Hotel Rimini epitomizes the Dolce Vita, as told in Fellini’s movie. Ideal for couples, cinema buffs, tradition lovers. Houston Suites: Bright and minimal furniture, near the beach. Most suites have a dining area and kitchenette. The plus: you’ll feel like having your small beach apartment. Ideal for families. Casa Masoli: A boutique bed&breakfast in a beautiful historic residence dating back to the 19th century. The plus: the breakfast room decorated with frescoes. Ideal for couples loving tradition and uniqueness. Palazzo Bezzi: Tastefully decorated with modern furniture, nearby the mosaics, and all attractions: The plus: internal patio, Spa and wellness center. Ideal for couples. You can hardly get wrong in Emilia-Romagna, but there are still a few places which I strongly recommend. Trattoria Anna Maria – Countless pictures and many photos of Italian celebrities hang on the walls of this simple traditional restaurant. Not to miss: Tagliatelle al ragù, Tortelloni burro e salvia (hand-made pasta filled with spinach and ricotta and seasoned with melted butter, sage and a generous sprinkle of Parmigiano Reggiano), and Vitello tonnato (super thin slices of veal covered with a tuna-based thick sauce). Mercato di Mezzo – This indoor market is a must-see in Bologna to spot some wonderful delicacies. It is also a great place for Aperitivo, pre-dinner drinks including a hearty buffet. If you want to taste something different, order the Lambruspritz, the Bologna version of the famous drink with the typical Lambrusco red wine. Welldone – If you look for a change from Italian food, here you can eat gourmet hamburgers and wash them down with good beer. Alfione Ristorante & Bottega – A traditional shop of gourmet food enlarged to include a lovely restaurant. An exceptional place, serving great dishes cooked with excellent raw materials. Trattoria Corrieri – A longstanding restaurant in the heart of the city. 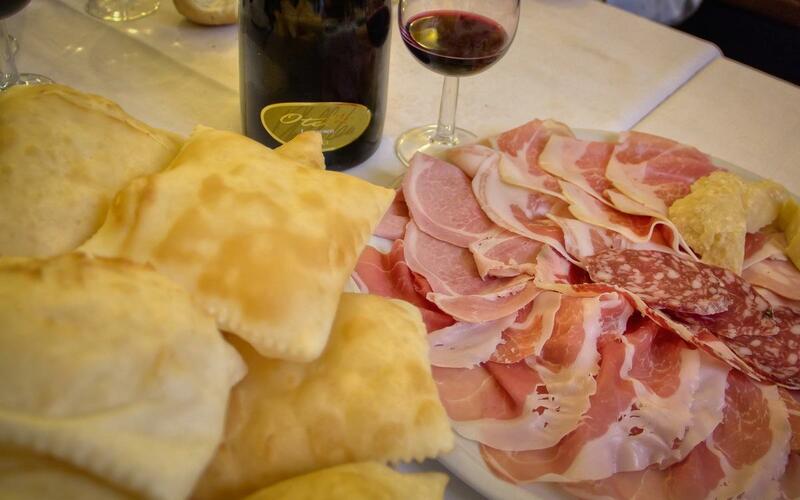 Enjoy gnocco fritto (sometimes also called torta fritta) with Culatello, Parma ham and other cold cuts, and savor the delicious homemade filled pasta. If you are a Formula 1 fan, or love Ferrari luxury cars, chances are you’ll go and visit the Ferrari Museum in Maranello. Don’t miss to have a bite at the iconic Ristorante Cavallino, where every single piece tastes of Ferrari: photos of famous drivers, F1 paraphernalia, and the ubiquitous prancing horse. Traditional Home Cooking Experience in Modena – Learn how to prepare the traditional dishes of Emilia-Romagna with a local and enjoy your lunch in good company. Parma Ham & Parmigiano Reggiano Factory Tour – Discover the secrets of Parma ham and Parmigiano Reggiano a look at its fascinating production. 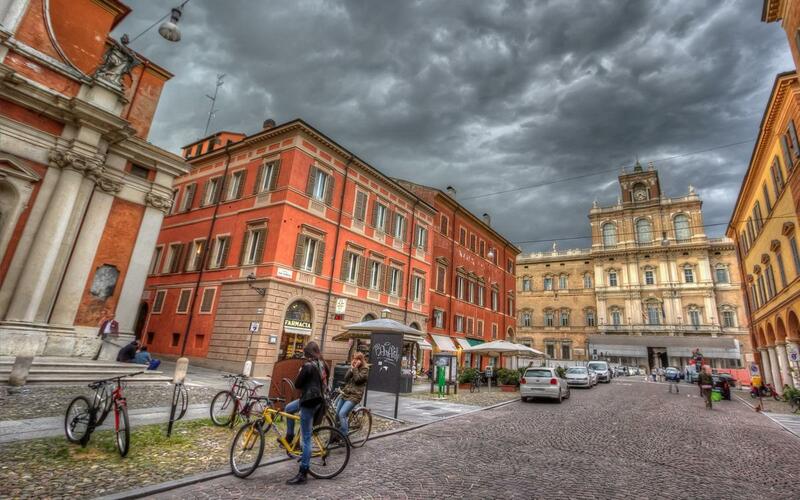 Half Day Bike Tour in Parma with Food Tasting – Visit a Parmigiano-Reggiano factory and explore the center of charming Parma by bicycle. Balsamic Vinegar Tasting Tour in Modena – Of all food delicacies produced in Emilia-Romagna, traditional balsamic vinegar is the most fascinating. Find out about the years-long processing and have an extraordinary tasting session. Bologna 2-Hour Guided Gourmet Walking Tour – Discover the best shops with the most delicious local foods and taste them. Full-Day Food and Ferrari Tour from Bologna – Combine a visit to discover the main local food products (Parma ham, Parmigiano Reggiano, Traditional balsamic vinegar), visit the Ferrari Museum, enjoy a delicious lunch in a traditional restaurant. Bologna with a Local: Customized Private Meet-Up – There’s nothing like hanging around with locals to discover the best of a city. Bologna: Land of Motors Ferrari-Pagani-Lamborghini – A must for luxury cars lovers to see some of the most beautiful iconic models. 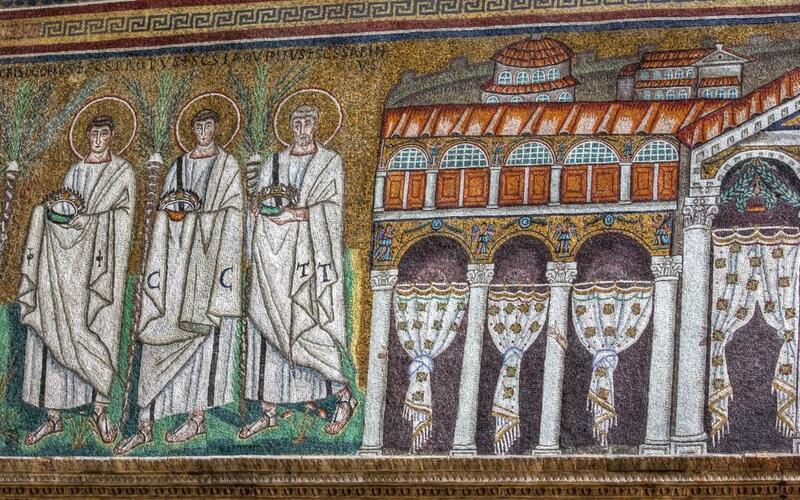 Ravenna: 3-Hour Discover Byzantine Mosaics & Local Flavors – A guided visit to the stunning UNESCO WHS Byzantine mosaics and to the local food specialties. This post contains affiliate links. If you buy any service, the price for you is unchanged, while it will help me running the website.